Through the Royal Opera House (ROH)’s Student Scheme, Kingston University students are able to see world-class ballet and opera for just £1. Following last year’s student performance of Liam Scarlett’s new ballet, Frankenstein, The Royal Opera will perform their latest production of The Nose especially for students on October 24, with tickets throughout the theatre ranging from £1 to £25. But why ballet or opera you ask? Last year, KU’s successful dance course saw Strictly Come Dancing’s Darcey Bussell in a highly anticipated visit as part of the This Girl Can campaign. However, Bussell’s rise to fame came long before she appeared as a judge. At the tender age of 20, Bussell was promoted to Principal Dancer of the Royal Ballet – one of the world’s leading classical companies – based a mere half hour from Kingston. Bussell retired from company in 2007, but numerous new talents have risen in her place, including newly-promoted English Principal, Francesca Hayward and Australian powerhouse, Steven McRae. 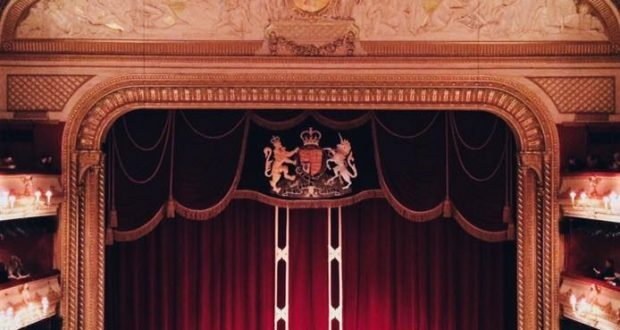 Though many must pour out hundreds of pounds to see Hayward and McRae tackle titular roles in classics such as The Sleeping Beauty and The Nutcracker, the Royal Opera House understands the importance of attracting a younger generation of ballet and opera aficionados. It is with this in mind that they created the Student Scheme. Not only does the scheme offer a full house performance, students are also allowed to book specially allocated standing tickets in the Stalls Circle for a tenner and there are a further four Student Amphitheatre performances for both art forms this school year (or season as the theatre would call it) where students can grab tickets that usually go for up to £100 for no more than £25. Students signed to the scheme can also book specially allocated standing tickets in the Stalls Circle for a tenner. There are a further four performances for students for both ballet and opera throughout the school year where students can grab tickets worth £100 for no more than £25. Once signed up, students can also be contacted by email when tickets aren’t quite selling, offering leftover seats all over the theatre for just £10. For further details, contact Kingston University’s Royal Opera House Student Ambassador, Kadeem Hosein, or visit the ROH website to sign up for free today.